Sunset Beach, North Carolina, is a beautiful beach town filled with many entertaining activities for you and your family to enjoy while on vacation! This resort destination is convenient for destinations like the Grand Strand, while still preserving a peaceful, secluded environment. Visit a local attraction like the Planetarium, or hit a round of golf in Sunset Beach, then retire to your pretty, private beach home. Many Sunset Beach houses have elevated decks with incredible coastal views, which you can enjoy with your feet up and a glass of wine at the end of a long day. Learn more here! Listed below are other beach properties within a 50 mile radius of zip code 28468. Sunset Beach, North Carolina, is a beautiful beach town filled with many entertaining activities for you and your family to enjoy while on vacation! This resort destination is convenient for destinations like the Grand Strand, while still preserving a peaceful, secluded environment. Visit a local attraction like the Planetarium, or hit a round of golf in Sunset Beach, then retire to your pretty, private beach home. Many Sunset Beach houses have elevated decks with incredible coastal views, which you can enjoy with your feet up and a glass of wine at the end of a long day. Sunset Beach is a beautiful resort community in North Carolina thirty minutes North of Myrtle Beach. Sunset Beach is home to the Bird Island State Reserve and the Silver Coast Winery. Take a vacation to Sunset Beach and relax by the shore or take a day trip to local destinations like Wilmington, Southport, or Myrtle Beach. With a beach house on Sunset Beach, your family can relax in privacy and comfort while still enjoying some of the most exciting destinations the Carolinas have to offer! Sunset Beach is a popular resort destination for families! Take your children to play at the Sunset Beach Planetarium while you relax at the Silver Coast Winery and enjoy some of the best wine that North Carolina has to offer. Play around with golf at the Seatrail Golf Resort which offers eighteen holes and coastal views, or relax by the shore at the Bird Island State Reserve. Take a day trip to Southport, North Carolina, a small boating town with antique shops and a Maritime Museum, or visit Wilmington where you can take your family aboard the USS North Carolina, a modern battleship. Sunset Beach is convenient for Myrtle Beach attractions like water parks, fine dining, and shopping. When you book a beach house on Sunset Beach, you never need to leave the island! Enjoy concerts in the summer air every Wednesday during July or take your family to explore the Bird Island State Reserve, which can be reached by foot from Sunset Beach. 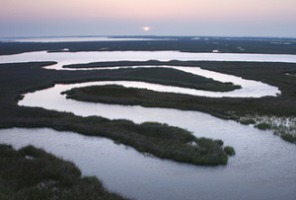 It features 1,481 acres of Carolina marshland and intertidal flats. 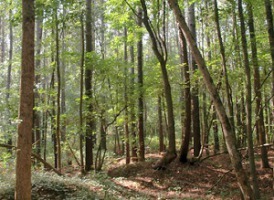 Relax on the beach or venture inland to experience North Carolina as the first settlers must have. For fun in the sun, book a beach house on Sunset Beach!